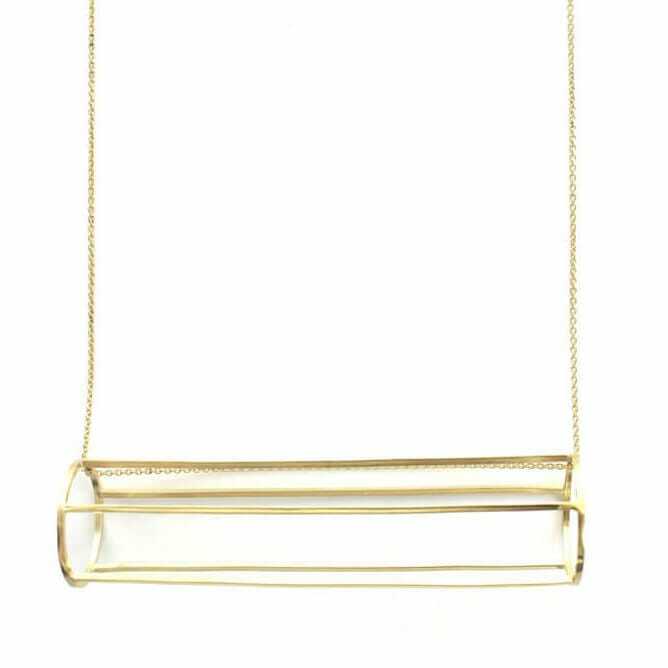 This simple, geometric pendant references the repeated linear aspects of modern architecture. 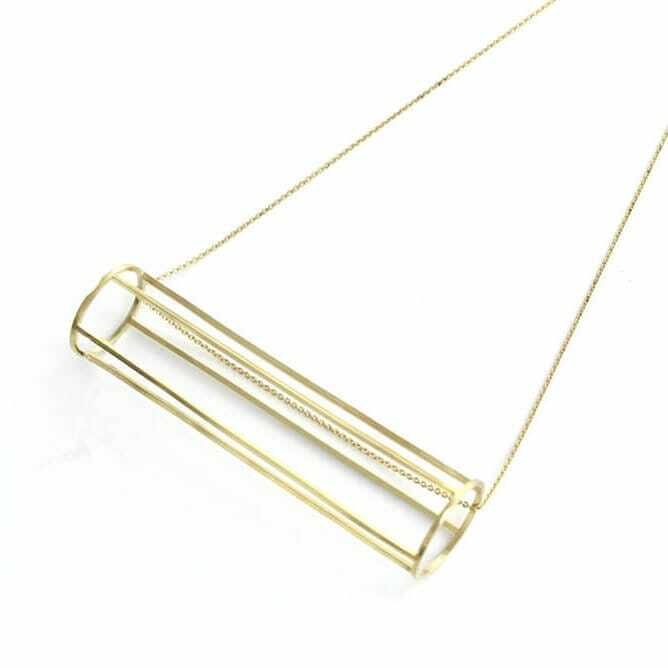 Hand-fabricated from fine square wire, it has a delicate appearance and lightness of form which makes it extremely wearable. Made to Order with a typical lead time of 2 weeks?